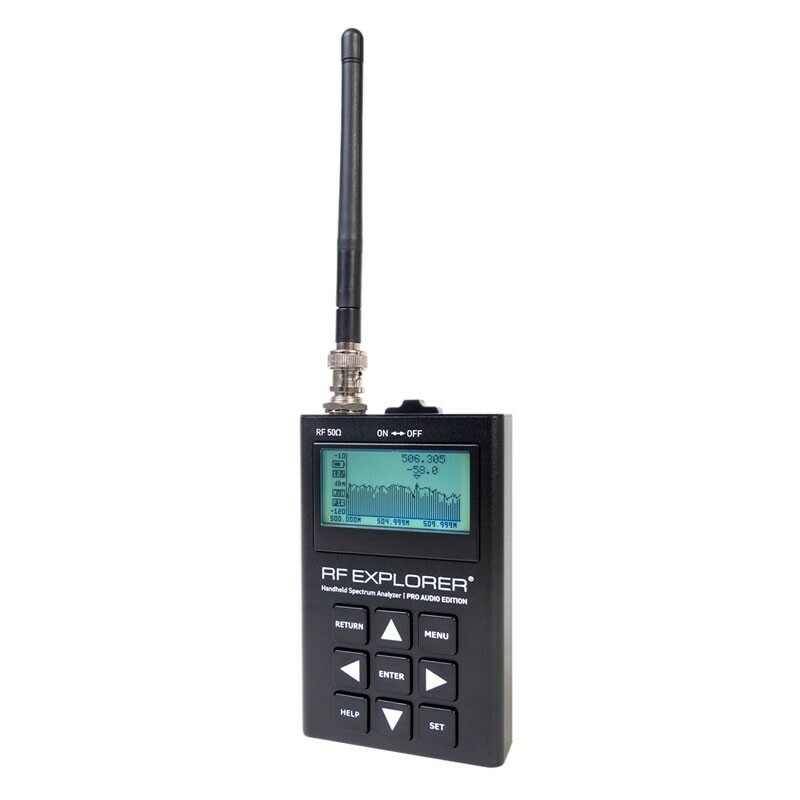 The RF Explorer® Pro Audio Edition is a portable RF spectrum analyzer designed specifically for use with wireless microphones and in-ear monitor systems. 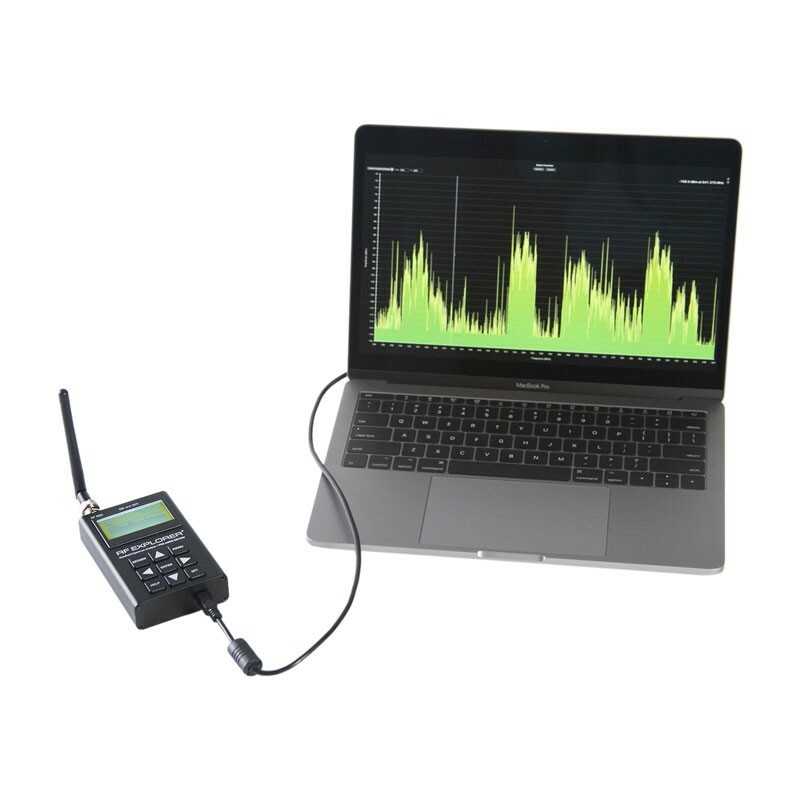 With a 50 ohm BNC input connector designed to interface directly with wireless audio systems and accessories such as remote antennas, antenna distribution systems, or RF over fiber modules, the RF Explorer Pro Audio Edition spectrum analyzer is the ideal tool to troubleshoot, optimize, and commission your next wireless system. 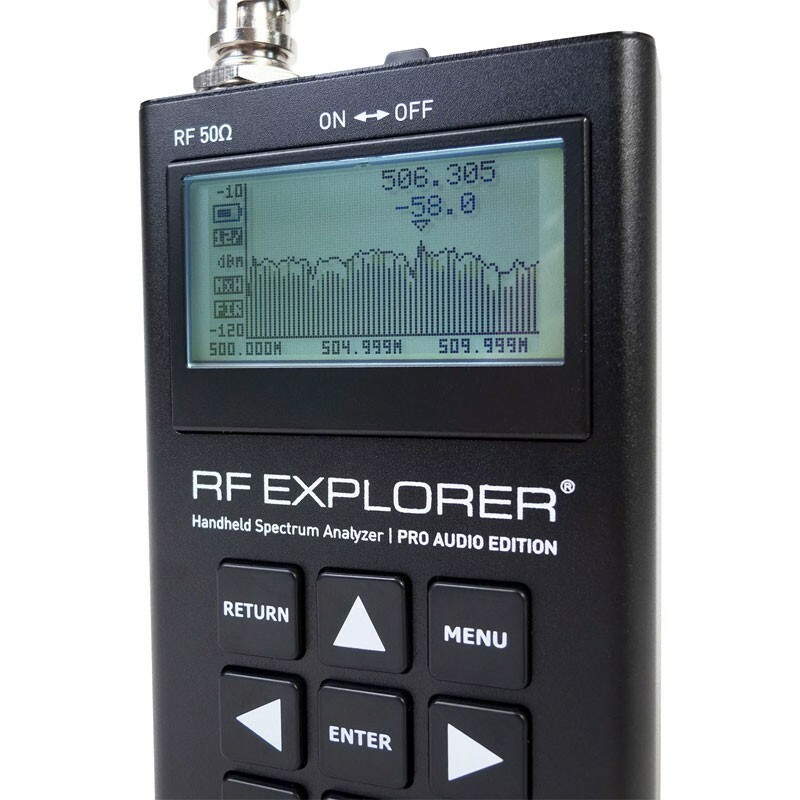 The RF Explorer Pro Audio Edition's easy-to use interface takes the complexity out of RF spectrum analysis for audio, empowering audio engineers and wireless audio system managers to better monitor, manage, and configure their systems in today's ever-changing RF spectrum landscape. 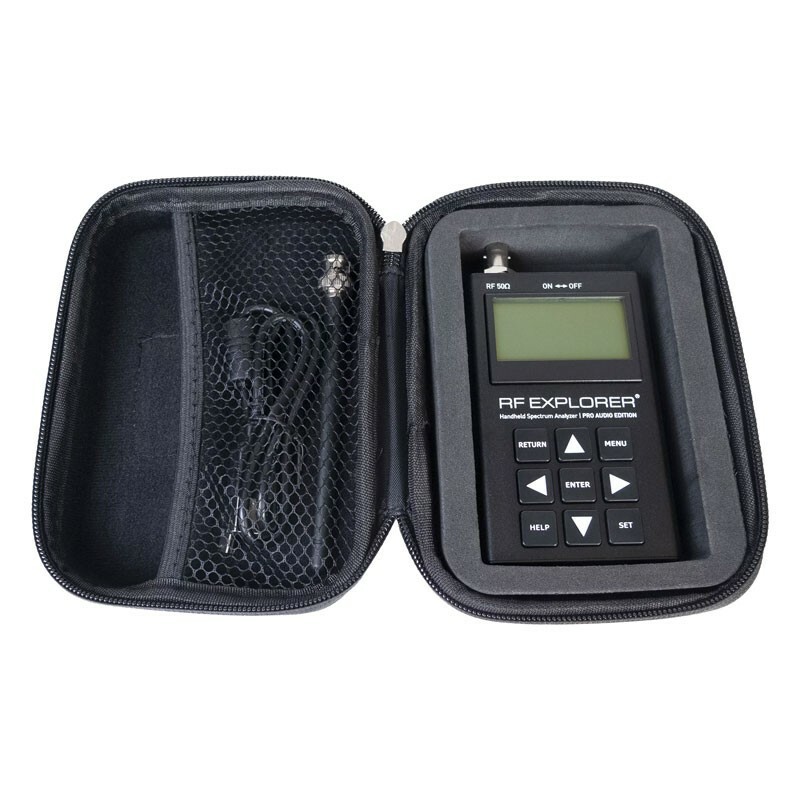 Carrying case, UHF band articulating whip antenna, and shielded USB cable included.